There’s always going to be someone out there… who doesn’t believe in you or who thinks your head is too big or you’re not smart enough. But those are the people you need to ignore, and those are the times you need to just keep doing what you love doing. Listening is more important than talking. Just hit your mark and believe what you say. Just listen to people and react to what they are saying. Martha Stewart is a Creative. 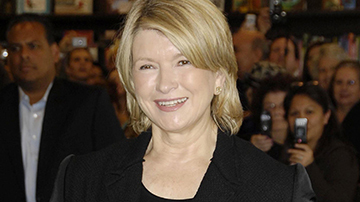 Martha Stewart is a Caregiver. Martha Stewart is an Intellectual.